Putting aside for a moment our controversy with ESRI over their “uncool” move to create yet another proprietary format whose only benefit is vendor lock-in (read this, this, or this for more on their “LAZ clone“), they do have some neat Web technology. And maybe not all hope is lost and we can rejoin our efforts for a single “native LAS 1.4 compressor” as suggested a few days ago. 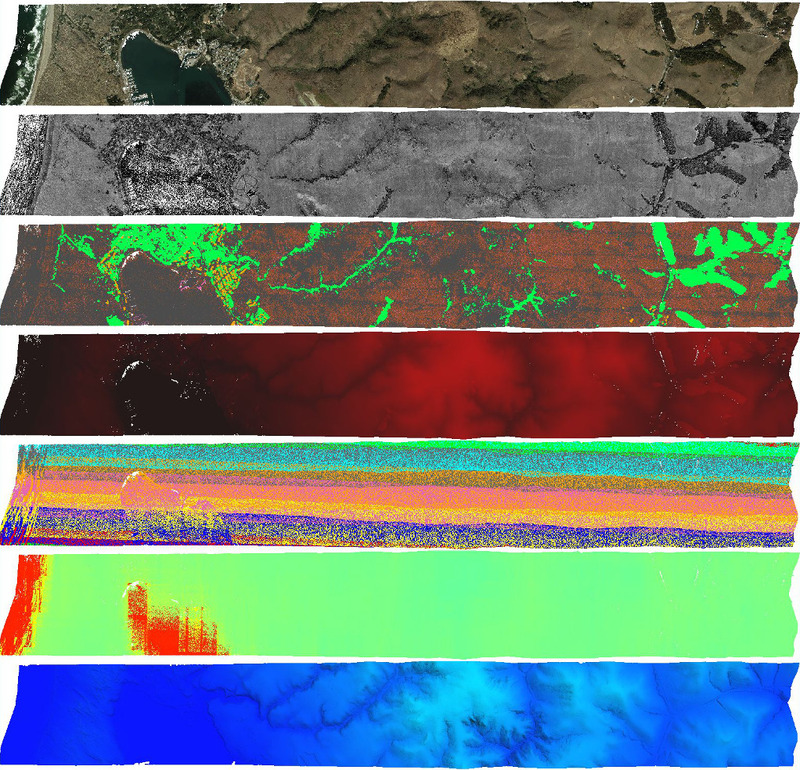 But on to the actual story: The Sonoma County Vegetation Mapping and LiDAR Program is using ESRI’s ArcGIS online Web map technology to implement an interactive download portal for open LiDAR and derived products such as contours, building footprints, and elevation rasters. 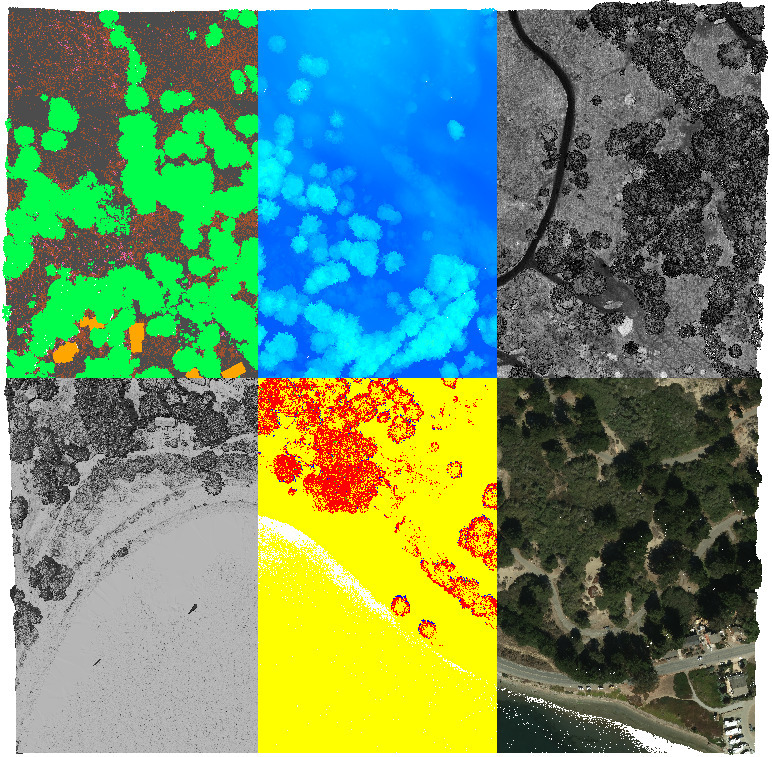 The five year SonomaVegMap program – a joint program of Sonoma County Open Space and the Sonoma County Water Agency – aims to survey Sonoma County’s topography, physical and biotic features, and diverse plant communities and habitats. 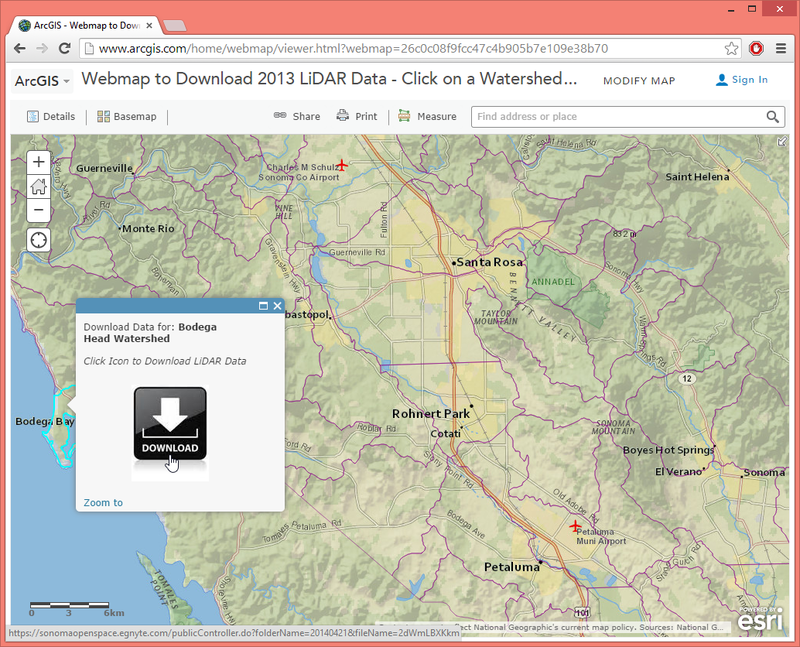 The program has already produced several products including county-wide LiDAR data which is now freely available for download as LASzip compressed LAZ files that are linked in increments of watersheds via an ArcGIS online Web map as shown below. 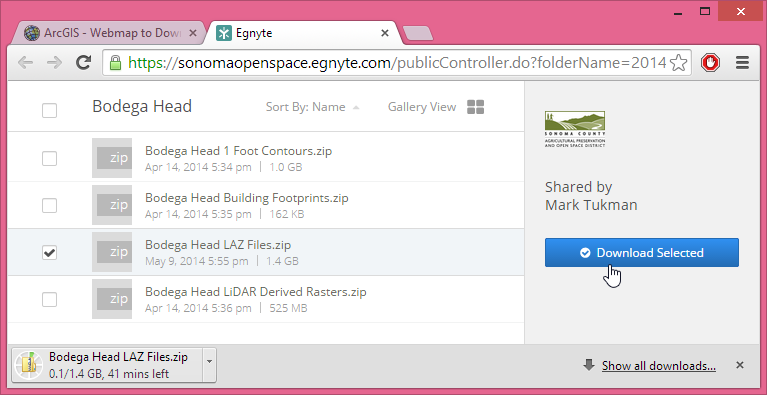 Clicking the download icon opens another window (as shown below) where the user can select either the raw LiDAR or the various derivatives (or all) and start downloading. 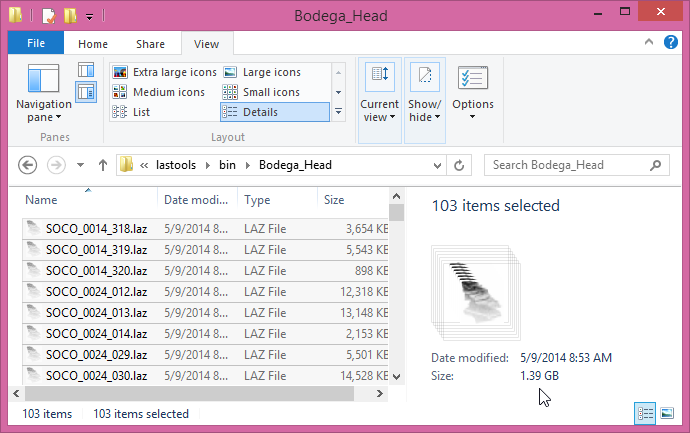 After about an hour of downloading and a few more minutes of unzipping the 1.4 GB ‘Bodega Head LAZ Files.zip’ file we finally get to see its contents: 103 LAZ files totalling 1.4 GB that decompress to 296,897,792 LiDAR points. The information bar on the right tells us that the LasMonkey software of Watershed Science Inc. has processed points of type 3 (i.e. with GPS time stamp and RGB color) into California State Plane II coordinates and stored them with a resolution of “centi survey feet” (i.e. scale x y z are all 0.01). 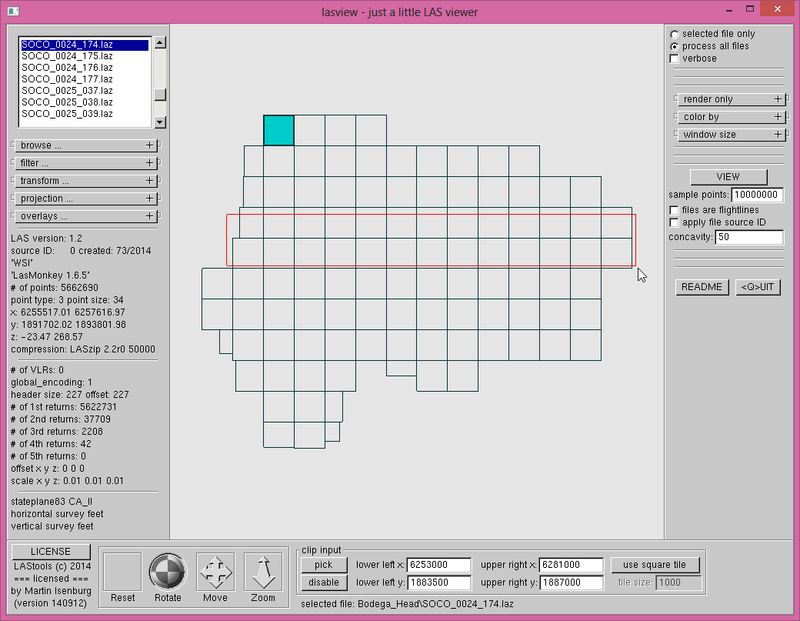 We pick a horizontal strip and view the points with different visualization options. Everything looks correct although we are not quite sure which values are stored in the ‘user data’ field of each point. Apparently these values more intense for water returns and maybe someone from Watershed Science Inc. will be able to enlighten us. Below a single tile as well as a close-up of one particular area of this tile followed by a lasinfo report. All 103 tiles pass the lasvalidate test with flying colors, nice job guys! Let me close this article with a 1 minute and 30 second video that summarizes the SonomaVegMap project. 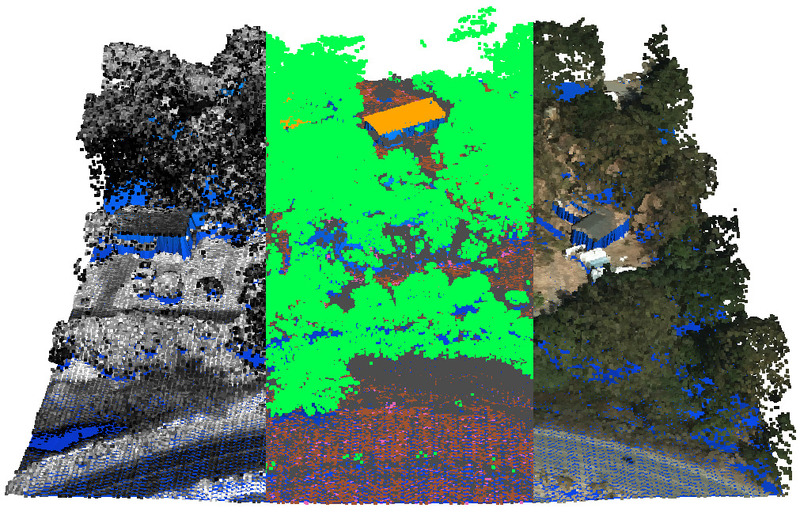 This entry was posted in ArcGIS, billions, compression, distribution, download portal, ESRI, forestry, LAZ, LiDAR, open data. Bookmark the permalink. This correspondence is regarding a conundrum you proposed in your September 13, 2014 blog entry, “Realizing Open LiDAR with ArcGIS Online and LASzip.” In the post, you asked if someone from Watershed Sciences, Inc. could relate information on values stored in the, ‘user data’ field. 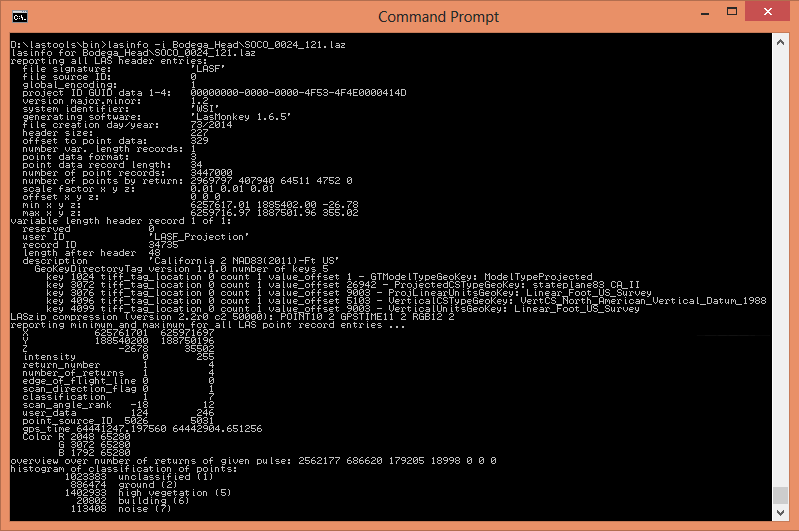 The numbers in question correspond to the Leica ALS 70’s automatic gain control functionality. With this in mind, it is probably now apparent why you saw higher values from water returns. WSI’s (now QSI) standard practice is to not introduce spaces into data file names, and this was true for the Sonoma County data set. These data have a wide user base, and spaces may have been introduced after delivery to meet another user’s needs. Thank you for highlighting our work in your blog post. We are continually grateful for the functionality found within the LAStools software and look forward to using it more in the future. Please don’t hesitate to contact us directly with further questions.